The Department of Bariatric surgery at Fortis Escorts has a comprehensive bariatric and metabolic surgery program. We have pioneered minimal access surgical techniques like laparoscopy and endoscopy which facilitates faster recovery, have fewer complications and need less post-surgical follow-up. We carry out advanced laparoscopic, billiary/pancreatic and colorectal oncologic procedures and are among the few centres to offer scar less minimal access surgery options by using the latest technology. We perform bariatric procedures on obese patients to help them achieve significant weight loss when an instituted exercise and diet program does not provide effective results for these patients. This often helps them overcome co-morbid conditions such as hypertension, Type 2 diabetes and obstructive sleep apnoea. We also perform open surgical procedures wherever indicated. We have best surgesons for Bariatric surgery in India that you may come across. Gastric bypass and other weight-loss surgical procedures are performed to make changes to your digestive system resulting in weight loss by limiting your diet intake or by decreasing the absorption of nutrients, or both. Gastric bypass and other weight-loss surgeries are implemented when diet and exercise does not work or when excess weight is causing serious health problems for you. There are several types of weight-loss surgical treatments, known collectively as bariatric surgery. Gastric bypass is one of the most common types of bariatric surgery. It is preferred by most surgeons because it mostly has fewer complications than other weight-loss surgeries. Still, all types of weight-loss surgery, including gastric bypass, are treatments that may include serious risks and side effects. Also, you must maintain permanent healthy changes to your diet and exercise regularly to help establish long-term success of bariatric surgery. 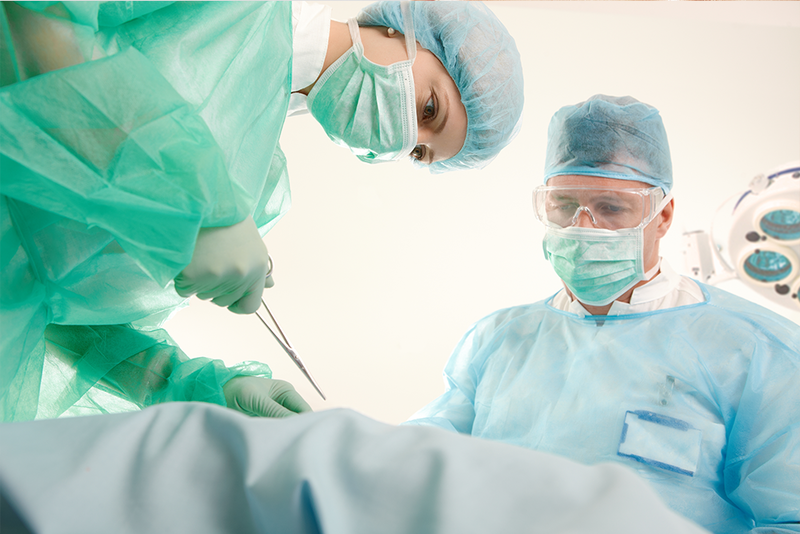 Laparoscopic surgery is also known as key-hole surgery or minimally invasive surgery. It is widely used in gynaecology, gastroenterology and urology. Our Laparoscopic Surgery Department is equipped with the latest technology and infrastructure, supported by an experienced team of surgeons. The hospital is dedicated to a transforming patient care through the endoscopic surgery, emerging from the convergence of laparoscopic surgery and therapeutic gastroenterology. The department has a dedicated team of surgeons who use specialised video cameras and instruments which are passed through small incisions (less than 2 cm) into the chest, abdominal or joint cavities to perform surgery. The department performs gastroscopies, colonoscopies and other gastrointestinal diagnostic tests and procedures. A hepatobiliary (HIDA) scan is an imaging method used to detect problems in the liver, gallbladder and bile ducts. In the HIDA scan, a chemical or tracer is injected into a blood vein in arm. The tracer is directed by the liver like bile. Bile is a fluid excreted by your liver that helps the digestive system in breaking down fats present in the foods. It is stored in the gallbladder and is released when you eat a meal. A special nuclear medicine scanner (gamma camera) examines the flow of the tracer between the liver and gallbladder all the way to small intestine. The name HIDA in the test comes from the Hydroxyl Imino Diacetic Acid that was used as a tracer earlier. More effective tracers are used nowadays. Cholescintigraphy, hepatobiliaryscintigraphies are other terms used for a HIDA scan. Some of these tests measure whether the liver is performing its routine functions of producing protein and removing bilirubin, a waste product in blood stream. Other tests measure stimulants that liver cells produce in response to any damage or illness. Other health conditions can lead to abnormal liver function test results. Test results may appear normal in people who have liver condition. Liver transplant refers to a surgical procedure to remove a diseased liver and replace it with a healthy liver from a donor. Most liver transplant operations use livers from deceased donors, however a liver may also come from a living donor. A liver transplant is needed when the liver fails to function adequately. A liver failure can be sudden (acute liver failure) as a result of viral hepatitis, drug-induced injury or infection or it can occur slowly over months and years (chronic liver failure). A tummy tuck or abdominoplasty is a cosmetic surgery for reshaping the structure of the abdomen. During this procedure, excess skin and fat are removed from the abdomen. In most cases, the connective tissues in the abdomen are tightened with sutures as well. The remaining skin is then repositioned to create a more toned look.